Happy Thanksgiving to all of our U.S. listeners! It's a celebration this week on the podcast! 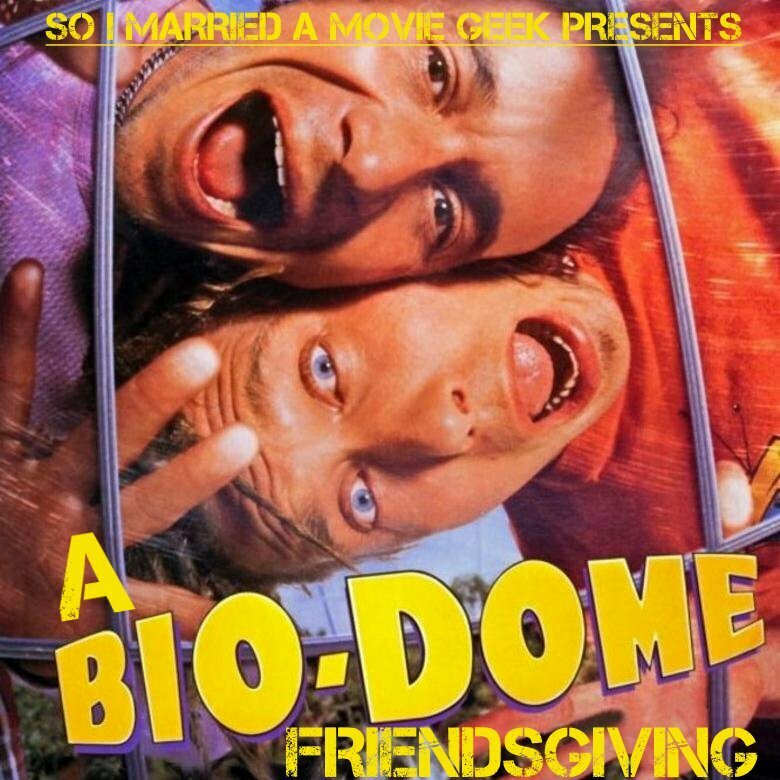 But since everyone in the world doesn't celebrate Turkey Day, we thought we'd shake it up a little and invited 2 of our best podcast friends (Chris Braaten from More Gooder Than and Dan Hill from The Dan and Kody Podcast) on the pod to celebrate our very own Friendsgiving, discuss the 1996 turkey of a film, Bio-Dome, and participate in a walk down memory lane with a 90s Comedies #FantasyMovieDraft! Good times were definitely had! Go to our Twitter and vote for your favorite team once the poll drops! Please check out our podcast on Facebook, follow us on Twitter @MovieGeekCast and find our pod and several other awesome ones like it on the PodFix Network! Subscribe and if you like us (like really like us), we'd appreciate it if you leave us a positive rating and review on Apple Podcasts! You can also email us any questions or comments to moviegeekcast (at) gmail (dot) com!